Its Friday, Its 6pm, I feel it calling me! Its the call of the green bottle in my cupboard. Its the call of Gin O Clock! I like Gin and Tonic with a large wedge of lemon (lime occasionally but a lovely lemon is my personal choice), lots of ice and nice fizzy tonic. On a Friday evening its my declaration that the routine of the week is done and the weekend is calling me into it, drink in hand. My Mum needs little excuse to open a bottle of bubbles. 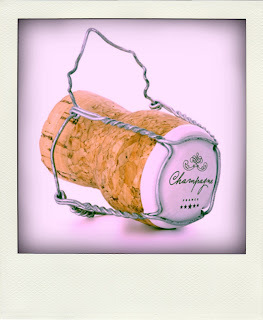 Any excuse will do, any little triumph can be toasted with bubbles at anytime of the week or day for that matter. I like this idea, why not celebrate the good things with what you enjoy, all to often people dwell on only the bad things. You only have to watch the news in a morning and you can be filled with a sense of doom the despair. So just as I celebrate the weekend with Gin O Clock and my Mum toasts the weather being good in Yorkshire with a tall glass of fizz, why not raise a glass of what you like and take pride in the little things? Its Friday and I am toasting my fabulous family, the ones with me in Canada and the ones we left in the grey weather of the UK. Cheers, here is to you all.